This Week In DOCTOR WHO History: June 19th to June 25th | Warped Factor - Words in the Key of Geek. We say goodbye to the Second Doctor this week in Doctor Who history. We start with a death this week in Doctor Who history, as June 19th 1965 saw an episode called The Death of Doctor Who broadcast. Spoiler alert: As the 9 million people watching will tell you, the Doctor didn't actually die! He couldn't really as there was still one more episode of The Chase to go after this, not to mention the 51 more years of adventures to be had. Also on this day we have episode five of The Dæmons. Broadcast in 1971 at 6:10pm, this Third Doctor's classic adventure was watched by 8.3 million viewers. Moving on to new-Who and 7.58 million were tuned in to the penultimate episode of the Eleventh Doctor's debut season. 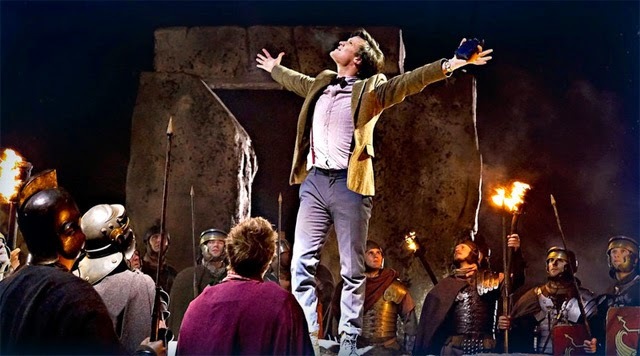 That Matt Smith always gave good speech, as evidenced here in 2010s The Pandorica Opens. 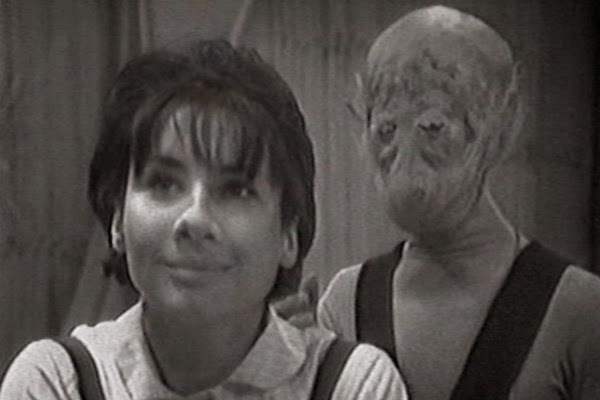 The opening episode of the 1964 6-part serial The Sensorites (titled Strangers in Space) was broadcast on this day in 1964 at 5:14pm and watched by 7.9 million viewers. Also on this day we have the seventh and final episode of Inferno was broadcast in 1970 at 5:15pm, with the Third Doctor's debut season signing off to a respectable 5.5 million viewers. On this day in Doctor Who history the Second Doctor was put on trial by the Timelords in the tenth and final part of The War Games. The result was a sad farewell to Jaime, Zoe, and his current mop-top incarnation. 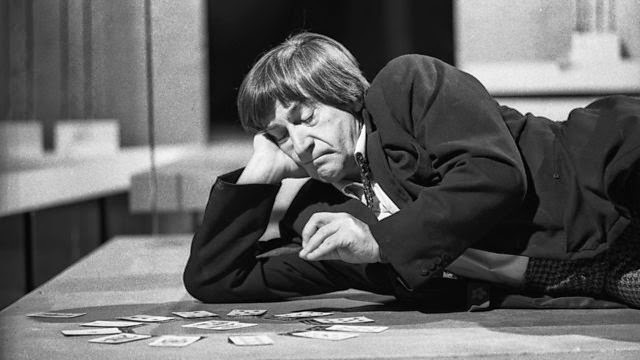 Forced into regeneration and an Earth based exile, 5 million viewers said goodbye to Patrick Troughton, goodbye to black & white broadcasts, and goodbye to 1960s Who as the show took the longest break of its then seven year history, not returning for over 6 months until January 3rd 1970. It's the Fifth Doctor's turn to be all sad in the rain as no Doctor Who episodes were broadcast on this day in the show's long history. However, back in 2004 a contestant on the BBC quiz show Mastermind chose Doctor Who as his specialist subject. So there's always that! Episode Six of the Third Doctor adventure The Green Death was broadcast on this day in 1973 and watched by 7 million viewers. Then it's a jump of 34 years and we have John Simm's Master being driven mad by The Sound of Drums. 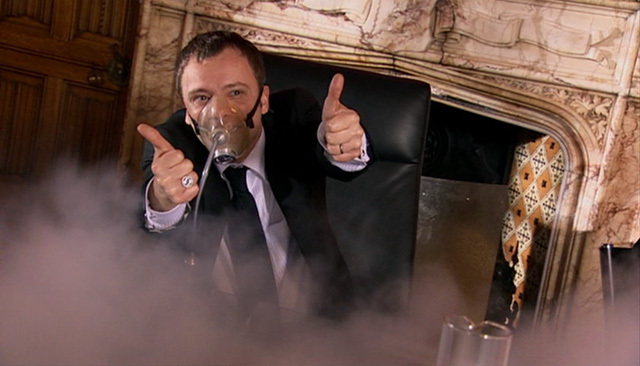 Broadcast in 2007 at 7:15pm, this episode was watched by a mighty 7.51 million viewers. 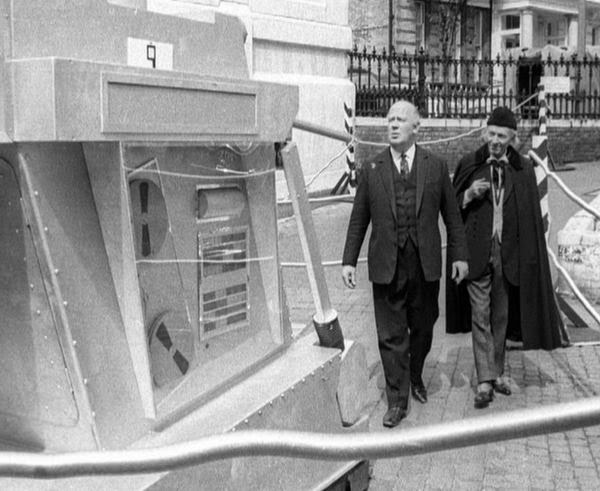 The penultimate episode of The Evil of the Daleks was broadcast on this day in 1967. Part six of the Second Doctor adventure was watched by 6.8 million viewers. Then in 1972 it was time for another episode six, this time from the Third Doctor story The Time Monster, which drew an audience of 7.6 million. New-who time, and the much maligned Fear Her was broadcast in 2006 at 7:02pm and watched by 7.14 million viewers. The War Machine(s) springs to life, opens up one eager eye, focusing it on the sky, where ninety-nine red balloons go by. 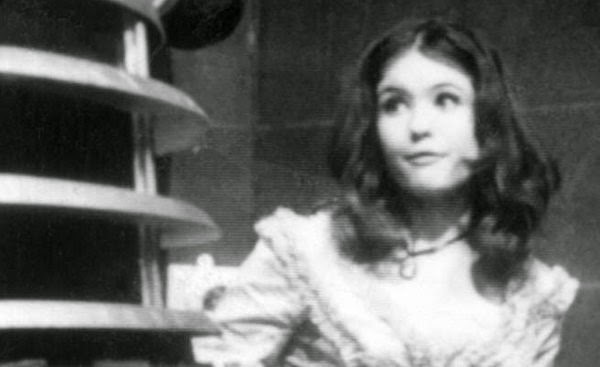 Was Nena influenced by Doctor Who? Er, short answer - no! Although it's quite possible that 17 years before their biggest hit single, when Gabriele Susanne Kerner (aka Nena) was just a young girl in a little toy shop, buying a bag of balloons with the money she got, she then rushed home to catch episode 1 of this 1966 adventure alongside the 5.4 million other viewers. Except she's German, and they didn't have Doctor Who in Germany back then, so never mind.